Evo 2017 hasn’t even started, DreamHack Atlanta is weeks away, and Dota 2's TI7 is next month, and yet this post-4th of July weekend is still packed. 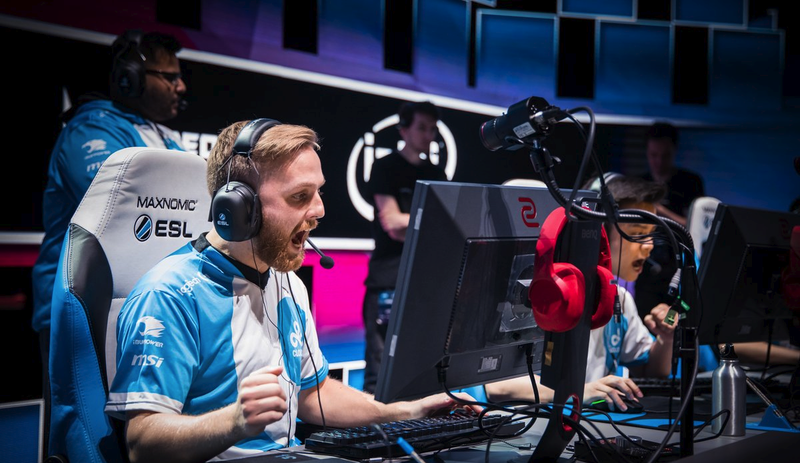 North America’s Cloud9 have done the unthinkable and won a spot in the ESL One Cologne grand finals, a premier, $250,000 Counter-Strike tournament that’s usually dominated by European talent. But if you don’t care about the struggle of America’s best CS:GO team to prove itself an international powerhouse, now worries, you can always go watch people rocket-punch one another in ARMS. ESL One in Cologne has come and nearly gone, with only a few matches left in one of Counter-Strike’s biggest events of the summer. With Cloud9 in the unlikely position of being the first to the grand finals, FaZe Clan and SK Gaming face will face one another in the second leg at 2:00PM EDT today to see which will have the privilege of joining them. The grand finals are slated to begin at 10:00AM EDT on Sunday, which you can watch in the stream below. Away from the noise ahead of TI7, teams will face off this weekend in Peru as part of The Final Match 2017. For once you can forget about names like OG and Newbee and catch the likes of Alliance and SG e-sports competing across a double-elimination bracket. The semifinals start today at 1:00PM EDT with the winner’s finals scheduled for 7:00PM. Then the remaining teams will race through the loser’s bracket seeking redemption and a slot in the grand finals scheduled for 6:00PM EDT on Sunday. The Mars Dota 2 League 2017 also concludes this weekend. LGD ForeverYoung currently sit in the grand finals awaiting the winners of the loser’s bracket. You can catch the conclusion of the tournament at 5:00AM EDT on Sunday morning here. Rift Rivals, a League event showcasing inter-continental rivalries, concludes today at 12:00PM EDT with Unicorns of Love and Team Solo Mid. The Europeans are pretty confident they have this one in the bag and they’re probably right, but you should watch anyway. Meanwhile, on the other side of the globe, the remaining teams from South Korea and China will be resolving their rivalries beginning at 4:00AM EDT in the morning on Sunday. You can watch those matches here. The HTC Spring Championship started yesterday in Shanghai. Top players from across the world are competing over a $250,000 prize pool with the list of contenders already shaved down to eight finalists. The quarterfinals will begin tonight at 10:00PM EDT with CitizenNappa vs. Hoej followed by the semifinals in the morning. For dedicated Hearthstone fanatics, the grand finals will be streaming at 4:00AM EDT on Sunday. With Nintendo’s latest competitive fighter out in the wild, fans of Smash Bros. will be giving the game some love at this weekend’s 2GGC: ARMS Saga event. The tournament begins at 3:00PM EDT today, with top 8 starting at 7:00PM. There’s even a pot bonus of a cool grand for the winner. You can stream the tournament here. Of course, there’ll also be Smash Bros. Wii U play at the 2GGC event, with doubles beginning today at 3:00PM EDT. Top 8 will take place on Sunday starting at 6:00PM EDT. In Smash Bros. Melee, there’s GENESIS: RED this weekend, a final competition before this year’s EVO featuring the likes of Leffen and Shroomed. You can stream the entire tournament here. Phase 2 continues in competitive Heroes of the Storm with with Team Good Guys vs. Fnatic at 12:00PM EDT today, followed by Zealots vs. Team Dignitas at 2:00PM. In North America it’s Naventic vs. Tempo Storm at 5:00PM followed by Even in Death vs. Roll20 esports at 7:00PM. Matches will resume on Sunday at the same times. In Capcom’s fighter, the Pro Tour continues online in Europe with top 8 having begun at 11:00AM EDT today, in Latin America with matches beginning at 3:00PM EDT. You can stay abreast of the action with all the matches streaming here. The 7-Eleven Summer Series picks back up again this weekend in Europe with teams competing for $6,000 beginning at 1:00PM EDT on Sunday. You can stream that tournament here.